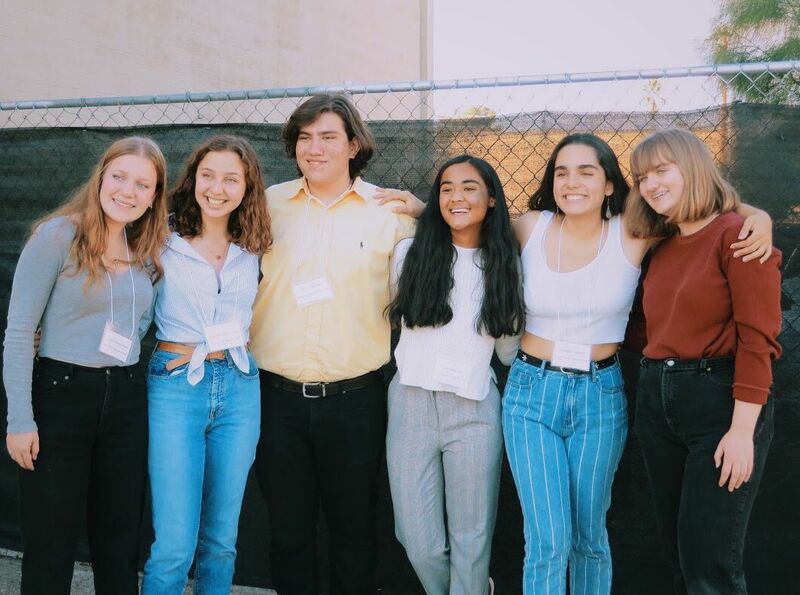 The staff of the "Carnegiea Magazine," from left to right: Lulu Youngerman, Genevieve Erickson, Henry Harms, Sharmila Dey, Isabella Carrión and Gracie Hale. Not pictured: Grayson Agrella and Nic Owen. 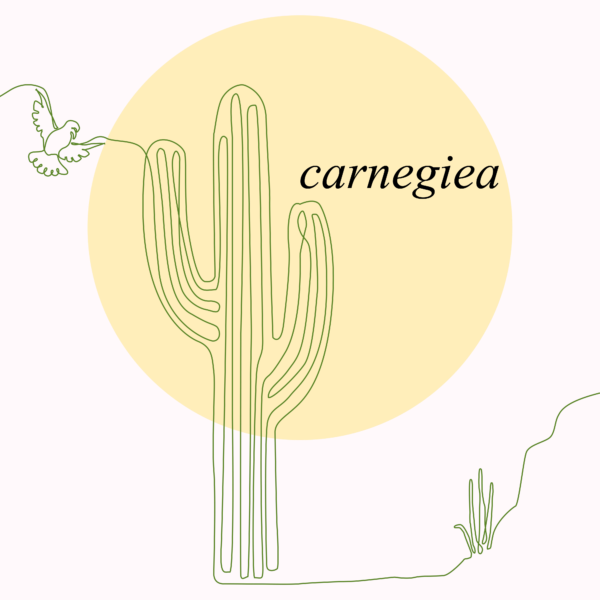 The logo for "Carnegiea Magazine." When Sharmila Dey and Genevieve Erickson began dreaming up names for a youth literary magazine, they wanted something that would represent Tucson. Carnegiea gigantea — the scientific name for the saguaro — was a bit of a mouthful, but very Tucson. The 17-year-olds liked the imagery and thought on its own, carnegiea sounded "literary enough." And thus began the story of their lit mag, "Carnegiea Literary Magazine." Editors-in-chief Sharmila and Genevieve, along with with digital director and fellow founder Henry Harms, are University High School juniors. Early last fall, they started "Carnegiea Literary Magazine," with five other UHS students — poetry and prose editors Grayson Agrella and Gracie Hale; art editors Nic Owen and Lulu Youngerman; and fundraising and organizing chair Isabella Carrión. And although they all go to UHS, this is totally their own thing — for the students and by the students, if you will. It's not affiliated with their school or Tucson Unified School District. "There aren't many platforms in general for young people," Sharmila says. "They're often for older, more established poets and writers, so that's something Genevieve and I had been talking about for a while, but last summer was the culmination." That's because over the summer, Genevieve spent a week at a national workshop with other teen writers and learned about literary publications in other communities. She and her friends wanted to make something similar happen here. The team decided not to restrict the magazine to their school, but rather accept submissions from students in middle school, high school and college. "I was featured in the anthology in the program I went to, and it felt so good to do that that I wanted to give other people the same opportunity," Genevieve says. So far, they've published one poetry anthology and are in the process of putting together their first print magazine. They hope to have it published by late March or early April. Young artists can submit work through February at carnegiealitmag.com. That's also where you find current posts of poetry, fiction, artwork and photography. For this group of student editors, creating a literary magazine is a learning experience — and a balancing act. To solicit submissions, they've dropped off flyers at downtown businesses and emailed as many English and art teachers as possible. While putting together their first anthology, they spent an afternoon after school folding and stapling. They're students and artists, juggling homework and extracurriculars. They try to meet once a week. UHS English teacher Kathleen Bielas says the group has met in her classroom several times. The energy is impressive, she says. "I sponsor a photography club, and I'm consistently on them," she says. "They have amazing pictures, and once you're published, you can say you're published," Bielas says. "I think it's important that if they have these talents, they put them forward and get them out into the community." That's what the lit mag staff wants to facilitate. In December, the magazine had its first live event — a pop-up gallery — to raise money for the print magazine and to support young, local artists. They're still amazed that The Loft Cinema hosted them and that they managed to organize the event in two weeks — DURING FINALS. "Outreach is harder because everyone is a teenager," Genevieve says, laughing a little. Parents and teachers have offered a lot of support, they add. At the pop-up gallery, they sold their anthology and helped fellow artists make and sell prints of their own work — some of which are still available for sale on the website. Currently the organizers have around 80 submissions to the magazine to sift through. "We've gotten a lot of pieces — whether from people we do or don't know — that say in their bio that this is something they've been struggling to say and (the magazine) is a helpful platform to help them get it off their chest," poetry and prose editor Grayson says. Having a creative outlet — especially in an academic environment — is important, says UHS English teacher Kerry Balzer. "I remember when I was in high school and all I cared about was poetry and creative writing and art, and it's what kept me afloat when I was stressed out, and it's how I discovered my interests and who I was," says Balzer, who has had several of the magazine staff in her classes. "Reading poets I loved helped me discover things about myself that I didn't know. It helps kids express who they are and discover who they are." The staff has found that many submitted pieces mirror current events, exploring issues such as immigration, gun violence and poverty. The variety of submissions, both playful and serious, present a picture of growing up in Tucson, Sharmila says. "I hope, especially for pieces that deal with physical or mental struggles, I hope there's a sense of solidarity, and people know they're not alone because that can be alienating ... " Grayson says. "We're looking to showcase youth talent, but I think there's a lot behind that." Because the teens behind the magazine are all graduating in the next few years, they're already thinking about the future — how they can pass the magazine down when they graduate. "I want people to see this and realize the creative diversity of the Southwest, especially in our youth, because it's an underrepresented population," Genevieve says. "We get so many things that touch on important issues, and if it helps one person and touches one person, that's enough for me. That's what I want this magazine to be." Check out "Carnegiea Literary Magazine" at carnegiealitmag.com. 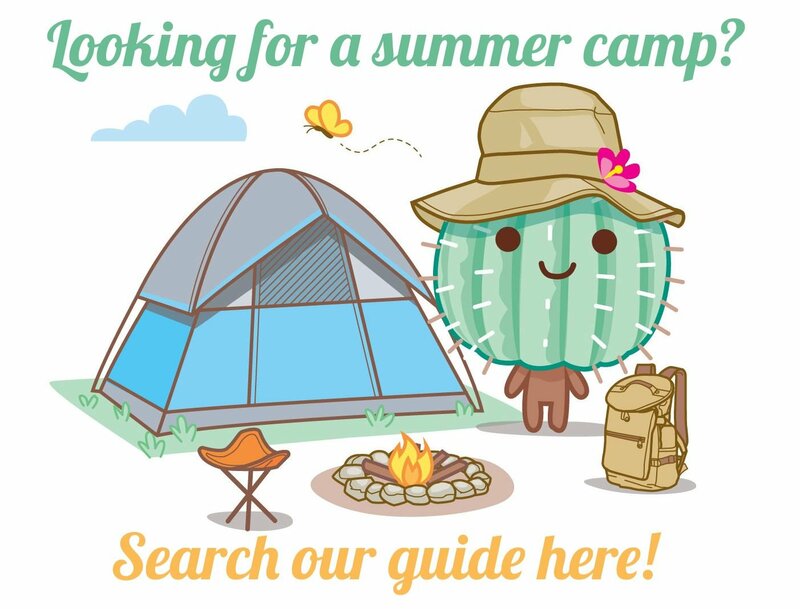 The University of Arizona Poetry Center has created a wonderland of words just for your kids. A teen coalition is organizing the Rising Voices Summit for youth this weekend.